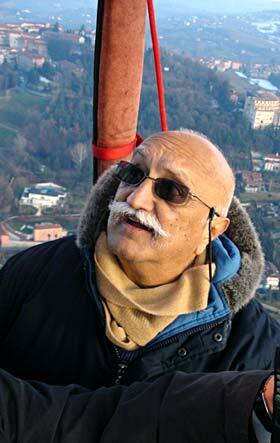 Dr. Vijaypat Singhania a textile tycoon (Raymond, India) has set a new world record for the highest flight in a hot air balloon, after a voyage lasting several hours. The old World Record for the maximum altitude in a Hot Air Balloon stands in the name of Per Lindstrand, a Swede based in UK. The record stands at 64997 ft. achieved on 6th June 1988, in Plano Texas, USA. The Federation Aeronautique International (FAI), mandates that a record to be recognized must surpass the previous one by at least 3%. He travelled in a pressurised cabin attached to a balloon as high as a 22-storey building. Watch Singhania’s attempt the world record breaking feat-Live! For latest updates at offical web site including record update. More information can be found at BBC asia web site.